We are seeking passionate and enthusiastic instructors, people who have multiple qualifications. We take care to give variety of programs to reduce burnout. Work all year round is a refreshing reward when people come to South Australia. Total Adventures values dynamic staff members who bring passion and energy with high levels of professionalism, qualifications and reliability. Our staff are the heart and soul of our business. Do you love the outdoors? Is it time to inspire young people about the outdoors and themselves? Come build your career with us. This is a diverse role which will allow you to lead youth on a variety of programs across the state of Victoria. Group Leader / Activity Instructors... We are constantly recruiting casual staff to fill a number of positions throughout the year. 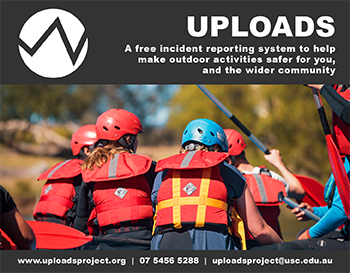 Reporting to the Programs Coordinator, your new role will involve Instruction of adventure activities, group facilitation and achieving meaningful outcomes through safe facilitation of YMCA NSW Outdoor Education Programs.